Winter is coming! The strong cold front that pushed through the ArkLaTex on Thursday brought in a round of rain and storms and a blast of cold air. The rain will will start to taper off Thursday afternoon. Here’s of snapshot of FutureTrack at 4 p.m. on Thursday. It shows the widespread rain and storms will be moving east of the area. However, light rain or a few showers could linger, mainly across NW LA. FutureTrack is even showing some clearing along and north of I-30. Any lingering rain this afternoon should be out of the area by tonight. As the rain moves out, we are going to turn our attention to the blast of cold air Thursday afternoon. 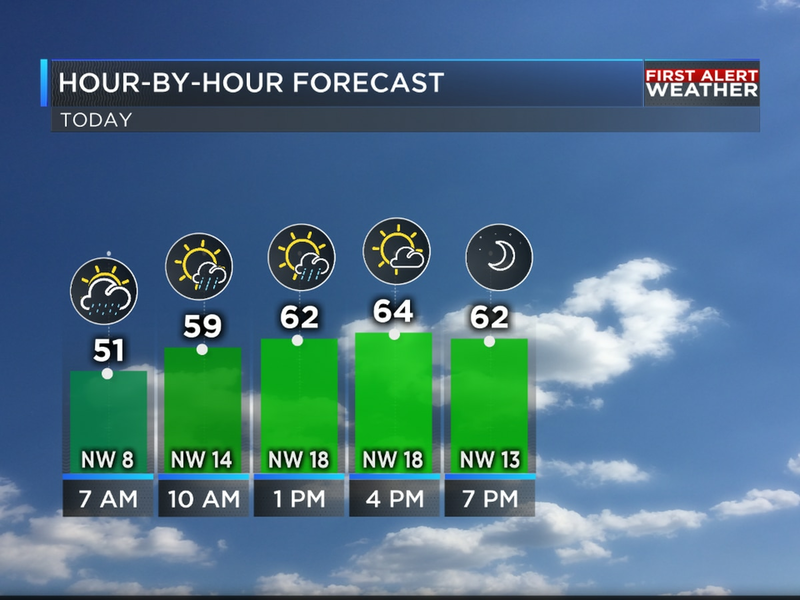 Much cooler air will follow the front, so temperatures will actually drop through the 60s and 50s this afternoon. The latest run of FutureTrack shows most places will be in the 30s and 40s by 6PM this evening. Tonight will be cold. We’ll wake up to temperatures in the 20s and 30s area wide. Most places along and north of I-20 will drop to or below freezing. To make matters worse, the wind will make it feel even colder. A north wind at around 10 mph will put wind chills in the teens and 20s Friday morning. The feels like temperatures or wind chills will be the numbers you’ll have to dress for Friday morning. Remember, wind chill is the temperature it feels like when the wind hits your skin. You’ll probably going to need more than just our winter coat out the door Friday morning. Friday and Saturday are definitely going to feel like winter. Highs will only be in the mid to upper 40s. Temperatures will start to warm towards the end of the weekend and into early next week. By the start of next week, temperatures will be in the 60s. Temperatures will tumble to near freezing Friday night into Saturday morning. With a chance of precipitation in the forecast as well, there is a chance of a very light wintry mix of rain, sleet and snow. Even though major accumulations and travel impacts are not expected, a few slick spots will be possible on bridges and overpasses Friday night into Saturday morning before temperatures warm above freezing. A few showers will continue on Sunday. Our rain chances won’t really start to pick up until early next week when another front finds the ArkLaTex. Right now, strong to severe storms are not expected. However, periods of heavy rain and localized flooding will be possible.